See that strip of Designer Paper at the bottom of my card? That is in this digi. Yes...colored images, outline images, sentiments and digi papers. Its all in this digi. How cool is that! I just love CDS digis. Such a value. (I'm not just saying that as a DT member). I made my card in Microsoft Illustrator by opening up text boxes. I love using text boxes. I printed out my card...all it had was the digi paper strip and sentiment. I used a border punch and punched out the bottom. Then added a strip of black paper behind it on the inside of the card. Next I printed out the birds plus two single birds two of each. I fussy cut them out, sponged my edges and layered them with dimensional tape. I paper pierced my box around my images and sentiment and done. Pretty quick and easy. I love all the special touches you added, from the punched boarder to the piercing! 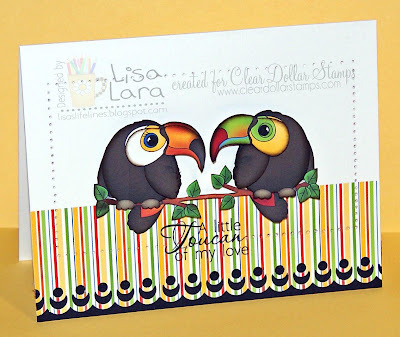 Very fun and colorful card my friend! 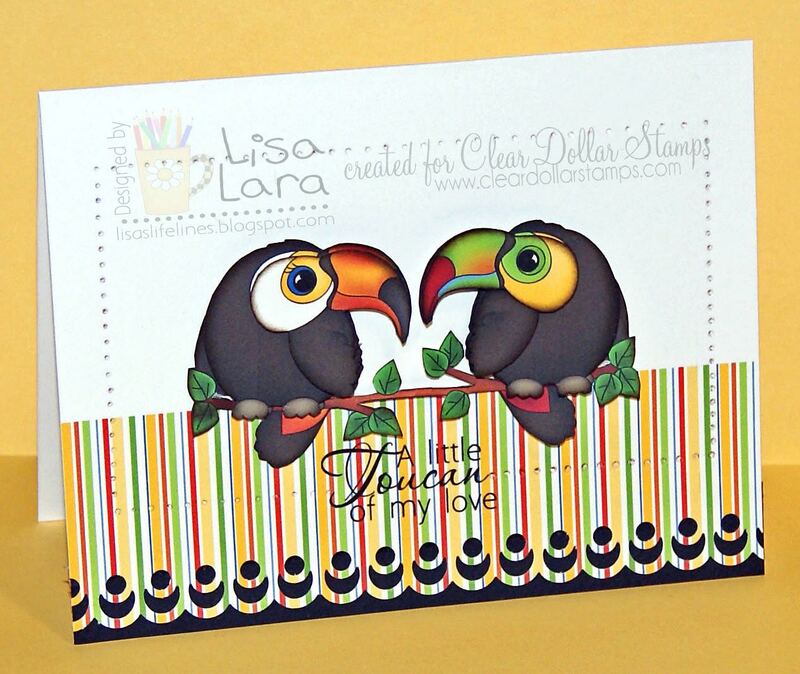 These toucans are perfect with the bright DP! Love your scalloped edge too! I love the fun colors of the paper and how cute this card turned out. Just adorable!